An experienced staff to make every aspect of your stay incredible. Sunset Lodging proudly employs the best vacation rental staff in Central Oregon. Many of our team members have been with Sunset for upwards of 10, 15 and 20 years. We work diligently to ensure you have the best Sunriver vacation experience possible. From our hot tub and maintenance staff to the Sunriver Vacation Planners who work with you to select the perfect home, you’re in good hands at Sunset Lodging. Get to know the Sunset Lodging team. A native to Oregon, Scott graduated from Oregon State University in 1993 with a Bachelors of Science. In 1994, he moved to Central Oregon to work in real estate and property management and obtain his real estate license. The intention was to work in the vacation rental business so that he could learn about it and become an effective real estate sales broker. He started “at the bottom” and learned all aspects of every position in the company. In 1996, he was made the general manager of Sunset Realty and 5 years later was given the opportunity to purchase the company. In 1997, Scott married Shawna and they have three children – Olivia, Emma and Will. Scott has been an active member in the community: Board Member and past President of the Sunriver Area Chamber of Commerce, Board Member and past President of the Central Oregon Visitors Association, Board member of Oregon Lodging Association, Chairperson for the RE/MAX Offices of Central Oregon Golf tournament and Wing Ding, which raised over $340,000 for Sparrow Clubs. 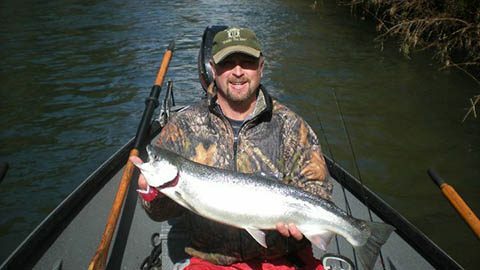 An avid outdoors man, Scott enjoys camping, fishing and hunting. Shawna has worked with or at Sunset Lodging for 21 years. She married Scott Pence in 1997 and they have three children, Olivia, Emma and Will. 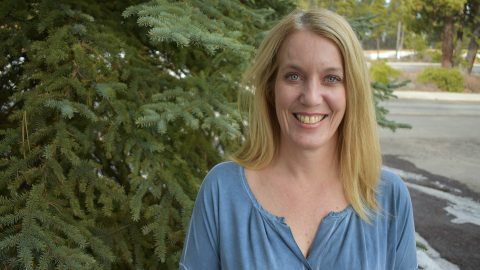 Before joining the Sunset team full time, Shawna worked in Ophthalmology for 22 years as a Cerified Ophthalmic Technician. 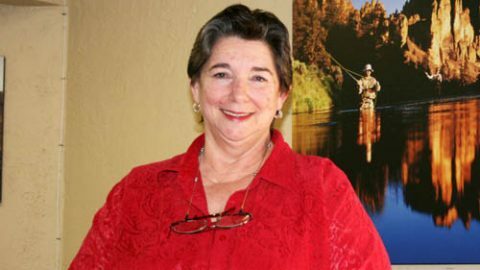 She started in Roseburg, Oregon, and continued at InFocus Eyecare in Bend. 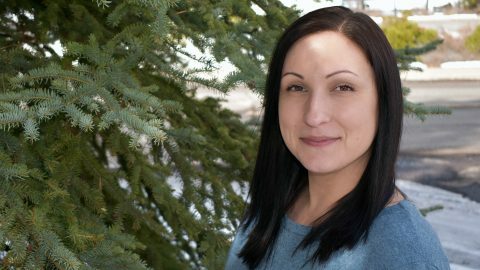 In 2013, Shawna began working in the Reservations department at Sunset Lodging to get a better idea of how to promote our business and be more involved in the day-to-day operations. In addition to being more involved at Sunset, this also gave Shawna more time to spend with her children and their activities in these formative years. Shawna loves being outdoors in Central Oregon, whether it’s paddle boarding, walking, hiking, hunting or fishing. She loves the cosmopolitan feel of Downtown Bend and the friendliness of people in Central Oregon. In her free time, Shawna enjoys being with her family and traveling when they can. Chris was raised in a small rural town in northern California. He worked several years as a wild land firefighter, including a stint with the Lassen Hotshot crew out of Susanville. He also owned a maintenance and janitorial business for several years prior to moving to Oregon in the early ’90s. He has done a little of everything when it comes to construction; including framing, siding, roofing, plumbing, flooring, rock work, windows, drywall, painting and more. Chris began working at Sunset Lodging in 1999 as a seasonal maintenance person. After a short time, he was promoted to Manager of the Maintenance Department. He also manages the Closing Department, which is responsible for the security of the properties. 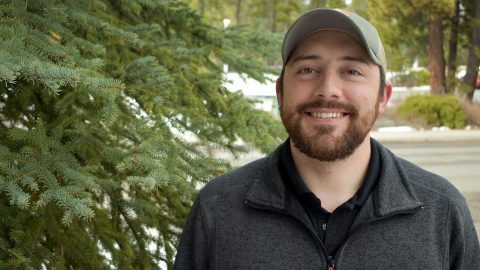 Chris enjoys hiking, spelunking, fishing and golf. He love spending time with wife of 30 years, Denise, his children and grandchildren. Getting outdoors with his grandchildren is the ultimate joy. Rhonda was born and raised in the Willamette Valley in Hillsboro, Oregon. In 1978, she married Dennis Anderson. Rhonda has two daughters, one son, two step daughters and 10 grandchildren. Rhonda started to work for Sunset Realty in the spring of 1992 as a housekeeper and continued with that for several years, moving on to inspecting and later on to managing the housekeeping department. She took a four-year break between 2003 and 2007, spending as much time as possible with family all the while missing Central Oregon. In 2007, they decided to move back to Central Oregon, at which time she was blessed with the opportunity to work for Scott and Shawna at Sunset Lodging once again. 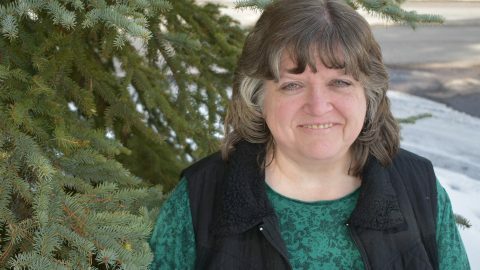 Rhonda enjoys spending time with family and friends, going camping, hiking, reading a good book, sewing all kinds of projects or mending items that come in from the homes in need of repair. Virginia was born in Missouri and raised in Coos County, Oregon, from the age of seven. She married her husband Steve in 1964. They have a son and a daughter. Virginia spent the next 20 years working in the fishing industry. Buying fish, shrimp and crabs for their wholesale/retail business as well as Starkist. In 1984, they sold everything and moved to Central Oregon. Virginia found her home with Sunset in 1997. Virginia says that Scott and Shawna have been great to work for. Through the years, she has worked at just about every job that can be found in this business. She decided to retire a few years back, but it didn’t work. Now, Virginia finds herself working from home part-time and working at the office two days a month to do Owner’s Statements. She loves hunting, fishing and has been known to curl up with a good book. Jimmy graduated from high school in Gillette, WY. After high school, Jimmy did five years in the Marine Corps as an infantryman with 3rd Battalion 4th Marine Division. In 2012, he moved to Central Oregon and was a superintendent for Reinhardt Homes, as well as a wildland firefighter in the summer. In the spring of 2016, Jimmy joined the Sunset Lodging team as the Hot Tub & Pool Manager. He has been instrumental in starting this new division for Sunset. 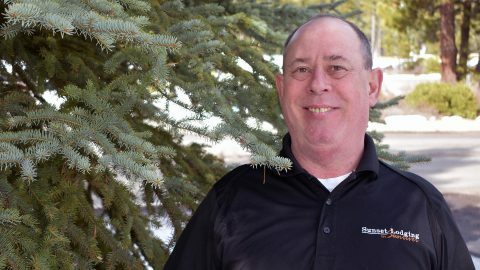 He loves the friendly environment and his coworkers at Sunset and meeting new people visiting Sunriver. In 2012, Jimmy married his beautiful wife and they have a newborn son, Colter. His family also includes a lab/pit mix named June and a wiener dog named Cash. Jimmy loves backpacking, hunting, fishing and exploring the endless Oregon wilderness. In addition to exploring the outdoors, Jimmy also enjoys spending time with friends and family. Amelia started working at Sunset Lodging in May 2017. Amelia loves the friendly and inviting atmosphere at Sunset. As the bookkeeper and HR manager, Amelia helps keep the ship running at Sunset and we’re very grateful for her skillset and upbeat personality. Amelia lives with her fiance Jason, as well as her four children, one cat and one dog. In her free time, Amelia enjoys reading, attending her children’s sporting events, hiking, camping and fishing. Krista has been a part of the Sunset team for just over five years. She has greatly enjoyed the opportunity to work with the amazing people at Sunset, who have become family over the years. Krista lives with her partner Don, son Morgan and pup Stella. Most of Krista’s free time is spent with her family. She loves cooking, grilling and rocking out with her aspiring 11-year-old drummer, Morgan. Her favorite Central Oregon activity is to float the river, it’s her absolute favorite thing to do in the area. 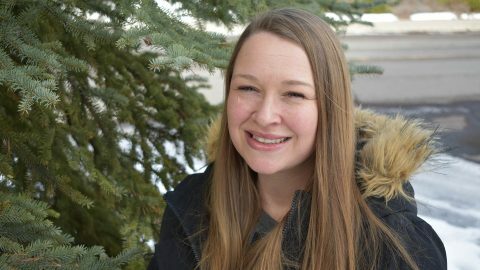 Emilie began working at Sunset Lodging in May 2017. Emilie thinks Scott and Shawna are awesome to work for, as well as all of the other employees. She loves the family-type atmosphere. 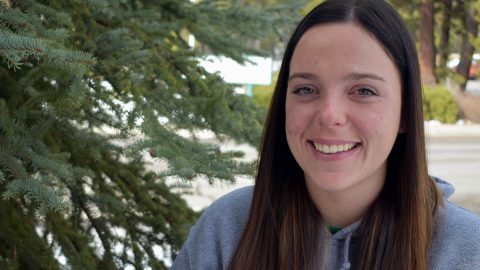 Emilie’s favorite hobby in the summer is fishing at Crescent Lake, as well as kayaking and floating the river. She loves exploring new places in Central Oregon. She also enjoys snowmobiling, hiking at Smith Rock and hanging out with her little guy.